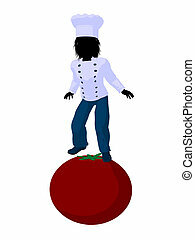 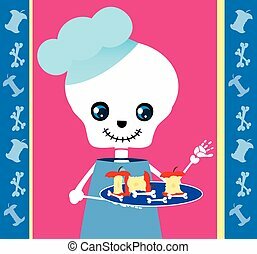 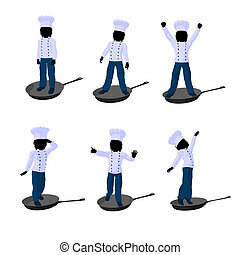 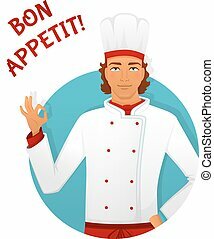 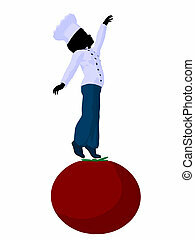 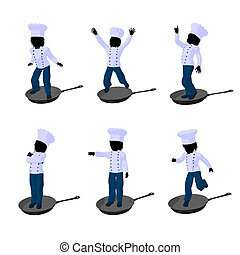 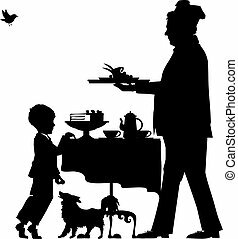 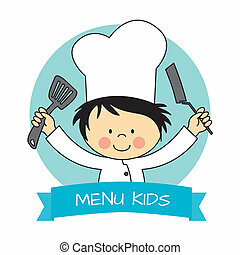 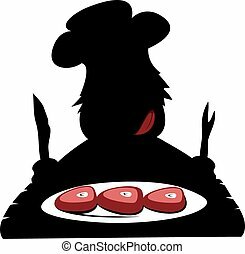 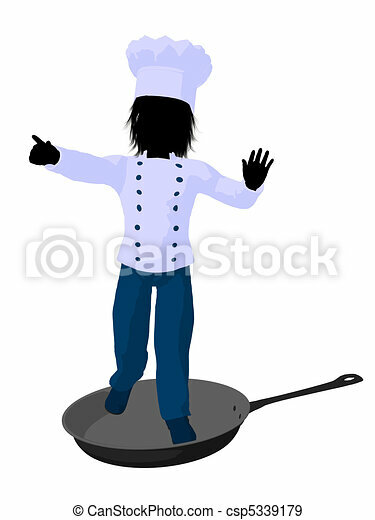 Boy chef silhouette illustration. 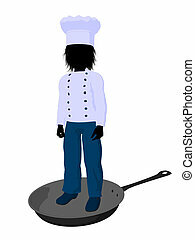 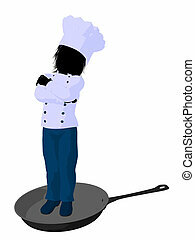 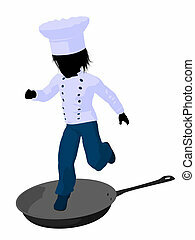 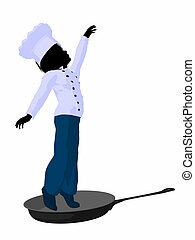 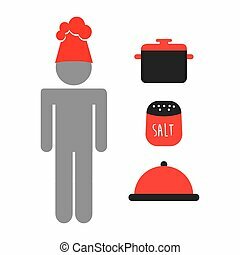 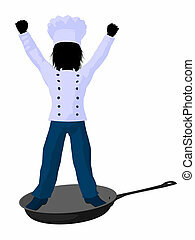 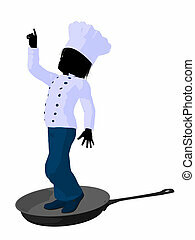 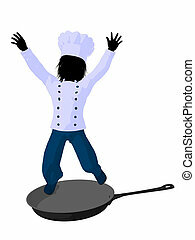 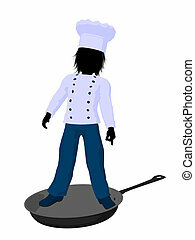 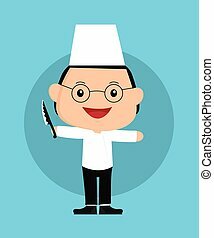 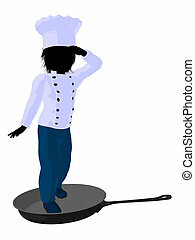 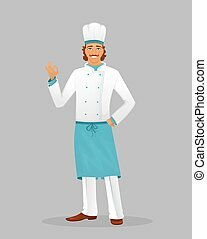 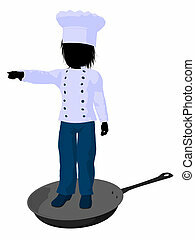 Boy chef in a skillet on a white background. 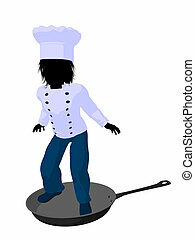 Silhouette of a hungry prehistoric chef is about to eat delicious paleo stake. Silhouette of a hungry prehistoric chef is about to eat a fresh fish.